"Are you planning to become pregnant in the next year?" If you're not, that’s an opening for a conversation about birth control options. Vietnamese medical interpreter Annie Huynh says that after just a few months of those conversations, she’s already seeing a dramatic shift away from the many accidental pregnancies she was seeing a couple of years ago. "Now, I hardly ever hear [it's] an accident anymore," she says. "It’s something either they plan for, or they don’t get pregnant anymore because of the education that I got that I’m able to pass on to them." That education includes training on how to talk about birth control, says Jennifer Averill Moffitt, the health center's perinatal services manager. "Whereas before, perhaps the counseling was, ‘Here are these 12 methods, choose which one is best for you,’ " she says. "Now, we’re saying, ‘Here’s the most effective method, and here are some other choices. Choose what’s best for you.’ "
The long-acting methods are on the rise nationwide — about 12 percent of women on birth control now use them — and they're getting a lot of the credit for the recent drop in unintended pregnancies to a 30-year low. But the rate is still strikingly high: Forty-five percent of all American pregnancies are unplanned. "If we had a stent that was 20 times more effective than another stent, it would be an outrage that we weren’t offering them." So why aren't even more women using IUDs and implants, especially now that Obamacare makes them much more likely to be covered? For one thing, they're not always easy and quick to get — particularly for low-income women, whose unplanned pregnancy rate can be five times the rate of high-income women. Enter Upstream USA. It's a nonprofit that aims to remove the health care system's remaining barriers to long-acting birth control. "There are many health centers we work with that are literally not offering IUDs and implants at all. Period. So literally zero percent of women are getting access to these methods," says Mark Edwards, the Boston-based co-founder of Upstream USA. "From our point of view, that’s unconscionable," he adds. "This is a method of contraception which research studies have shown is actually 20 times more effective than the pill in terms of real-world use, and yet health centers are not making these methods available. In any other form of medicine it would just be an outrage. If we had a stent that was 20 times more effective than another stent, it would be an outrage that we weren’t offering them." Upstream goes into health clinics like the Family Health Center of Worcester and helps them up their birth-control game. That means training just about the entire staff on birth control counseling, from the medical assistants and interpreters to the schedulers. "Having a culture shift — that says, 'This is important enough that everyone who works in a health center should have this education' — is huge," Moffitt says. It also means back-end work on medical paperwork and billing so the center doesn’t lose money on long-acting birth control. And training more medical staff to be able to insert the devices. Plus, there’s scheduling: A woman who wants an IUD or an implant often has to come back for at least one additional appointment, sometimes three or four — and that can take weeks. She may not come back, or by the time the appointment rolls around, it may be too late. "That’s what happened with me, actually," says Angelica, who books appointments at the health center and is also a patient there. (She requested we omit her last name in the interest of her children's privacy.) After Angelica went through the Upstream training last year, she decided she wanted a Nexplanon implant. She booked an appointment to get one. "But the appointment was one month after, and then, when the appointment came, it was June something, I was already pregnant," she says. "When I found out I was pregnant I was like, 'This is not what I wanted!' But still I had the baby." Angelica was in shock at first, she says, because her other son was only just over a year old, But she loves her four-month-old son, planned or not. And, she notes, it's faster now to book appointments for long-acting birth control. 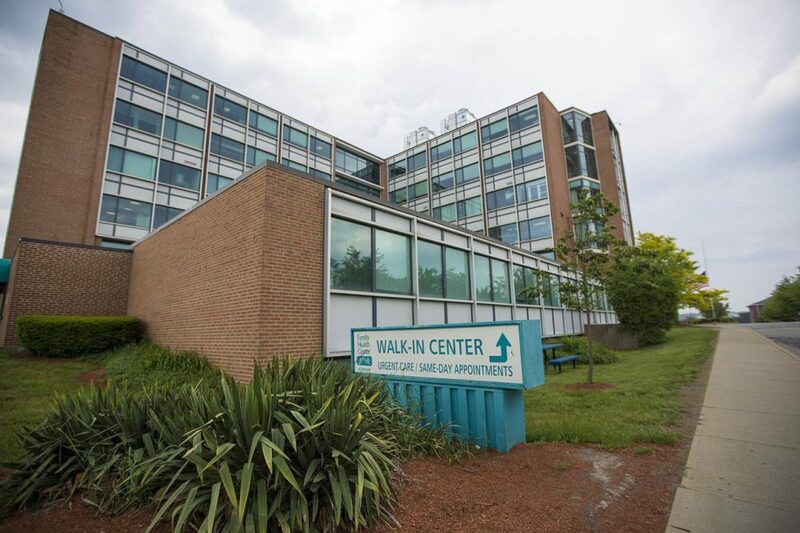 These days, she’d only have to wait a week or so -- and Moffitt says the Family Health Center of Worcester will soon have same-day IUD and implant appointments. The health center doesn’t have data yet on whether its Upstream training has cut the unintended pregnancy rate, she says. But she expects the rate to drop, as it has repeatedly in demonstration projects that gave teens and low-income women better access to long-term birth control. "When we give women the choice, hopefully our number of unplanned pregnancies can plummet," Moffitt says. How far they can drop remains to be seen. Experts point out that unintended pregnancy is complicated. Unplanned doesn't necessarily mean unwanted, says Megan Kavanaugh, a senior researcher at the Guttmacher Institute, a leading research center on pregnancy and birth control. And, she says, many factors go into a woman's choice of birth control: Not all women will or even should use an IUD or implant. But, she says, there have long been barriers to long-acting birth control, and "for women who really want to use these methods, and who now have access to these methods, that's a huge accomplishment. That's a great coup, I'd say, for the family planning field." Upstream USA is working at sites around the country these days — including a statewide project in Delaware — and its budget, funded by donations, has gone from $1.7 million last year to over $10 million this year. Edwards, the company's co-founder, says he hopes Upstream will become obsolete someday. "As a nonprofit, our goal is really to be out of business in about 12 years," he says. "We see no reason we can't be — that we can really change the face of unplanned pregnancy in this country in that period of time." He doesn't expect an end to all unintended pregnancy in a dozen years, of course. But, Edwards says, if any American woman can get an IUD or implant whenever she wants one, that would be a major step forward. Readers, have you encountered barriers to getting an IUD or an implant? Sarah Kliff of Vox wrote about some here.